Ever since it debuted on E4, I have loved Made In Chelsea. Unashamedly. I used to work beside an awesome Australian chick who had a similar love for the show and also it’s cast member Jamie Laing. 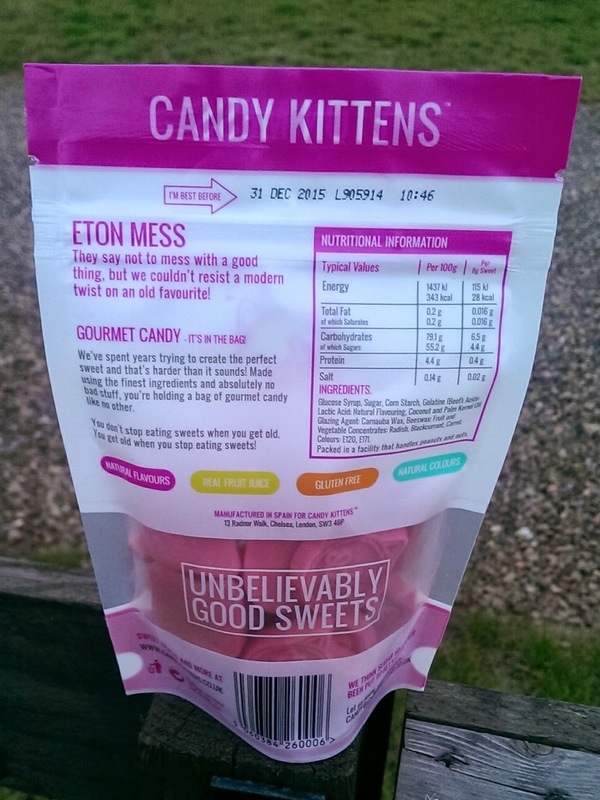 Whilst I knew Jamie had his own brand of sweets, Candy Kittens (www.candykittens.co.uk), I had not tried them until my recent trip to London, where I picked up a packet in Selfridges. If I am being honest, I initially bought them as a small gift for Mr Fifi Friendly, but as I write this he has not had a sniff of them. First of all, I did not know they were gluten free!…..they are and the whole range is, as well as having natural flavours, natural colours and real fruit juice. These are not vegetarian as many sweets are these days. They are dubbed as gourmet candy and it is true these are sweets as I have never tasted them before. 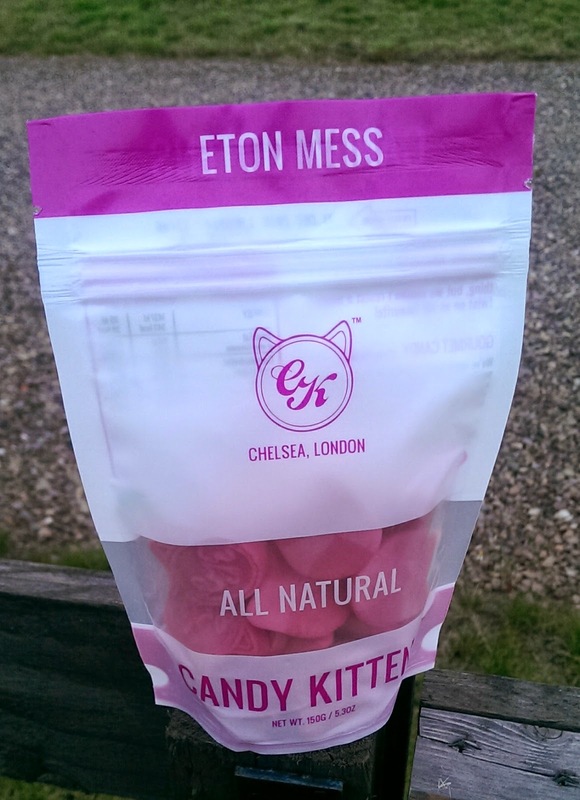 We were offered a few to try at the Candy Kitten counter before leaving with Eton Mess. They were creamy, fresh, slightly berry flavoured and not overpowering. Given how most sweets have a strong flavour and these did not, but they were still incredibly moreish. They were a delightfully satisfying chew. For a 150g bag is is £2.99. More expensive than your average Percy Pig, but they do feel more like a treat. I am curious to try the other flavours including Sour Watermelon. 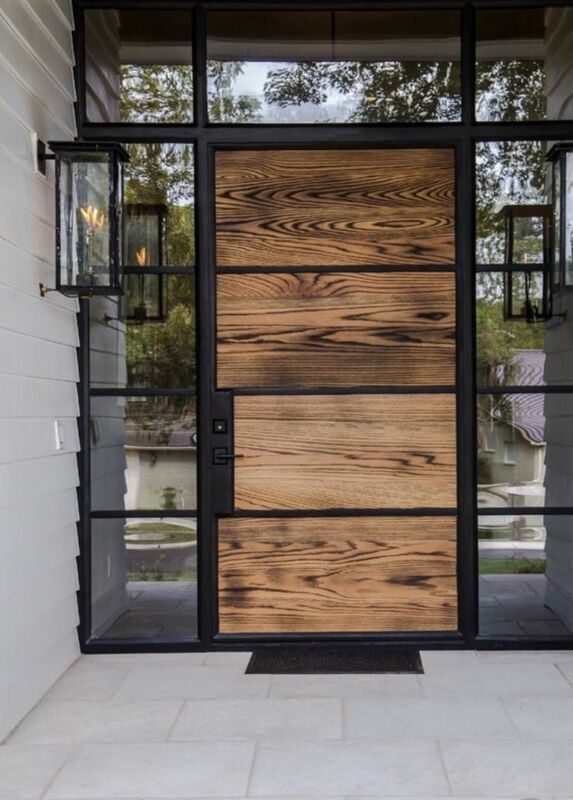 Next Post House of Hound…….